We all know skills decay rapidly if not practiced regularly. Resuscitation skills are no exception. QOF requires clinical staff to renew every 18 mths and non-clinical staff every 3 yrs.The Resuscitation Council goes further, recommending re-skilling every 6 mths to a year. ResusPlus Training has many GP surgeries who renew annually. If you are not sure which course you need or would like help assessing your needs, please call us. The UK Resuscitation Council Guidelines state that “All practices should acquire an AED” as part of their cardiopulmonary resuscitation guidance for clinical practice. Certification and entry onto the GMC GP register includes requirements to demonstrate competence in Automated External Defibrillation (AED), Cardio pulmonary Resuscitation (CPR), and out of hours care. 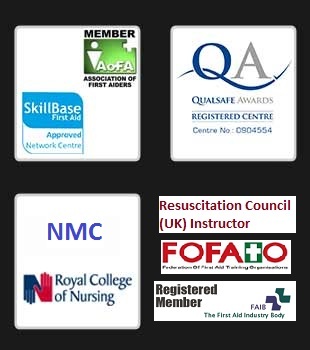 We offer a convenient and effective way to ensure that your staff are fully trained and up-to-date with the use and application of your practice AED by instructors who are dedicated to offering the best training to GP practices in the UK.